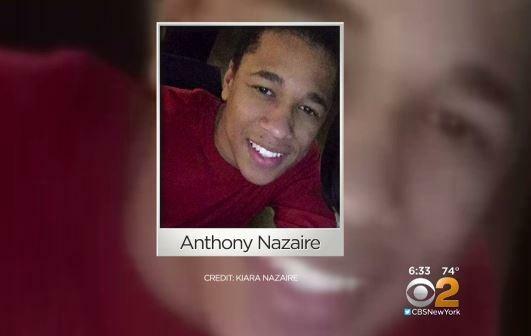 ITHACA, N.Y. -- Police investigating a brawl on the campus of Cornell University that left an Ithaca College student dead and another Ithaca student injured are asking witnesses with cellphone video of the fight to come forward. “He graduated from Brooklyn Theatre Arts High School, and at IC he was a member of the executive board of Brothers4Brothers, a student organization dedicated to empowering men of color on our campus,” said Ithaca College President Tom Rochon. “I ask that you keep Anthony’s family, the student who was injured, and their friends and loved ones in your thoughts and prayers,” Rochon said. Naizaire’s godfather told CBS Radio affiliate 1010 WINS that he was the pride of the family and was never in trouble. Rochon said a campuswide gathering is scheduled for 4 p.m. Monday at the school’s chapel. A vigil will be held Monday, CBS New York reports.